Is Samlesbury Hall in Lancashire haunted? 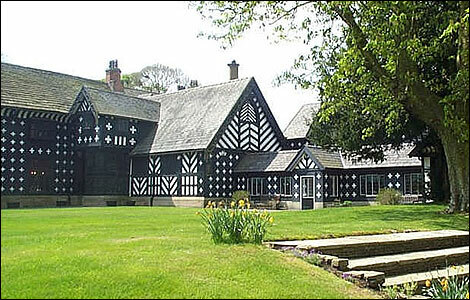 Samlesbury Hall is a historic house in the village of Samlesbury in Lancashire. This Grade I listed building was originally constructed in 1325 and apparently attracts over 50,000 visitors a year! In 1909 the Hall was almost demolished, having fell into disrepair over the years, but - thankfully - in 1924 an appeal was launched and a group of trustees came to the rescue and preserved the hall for future generations. The most common ghost story is that of the white lady... belief is that she is Dorothy Southworth. She fell in love with the son of the neighboring Protestant noble family. Despite the families refusing to let them meet, they continued to do so in secret and made plans to elope. However, on the night of the escape Dorothy’s brother killed not only the young noble man but two of his accomplices. Dorothea is said to have gone insane before dying at a convent abroad. Three human skeletons were unearthed hidden in the walls of the Hall. Hard enough evidence to make the story sound a lot more credible!